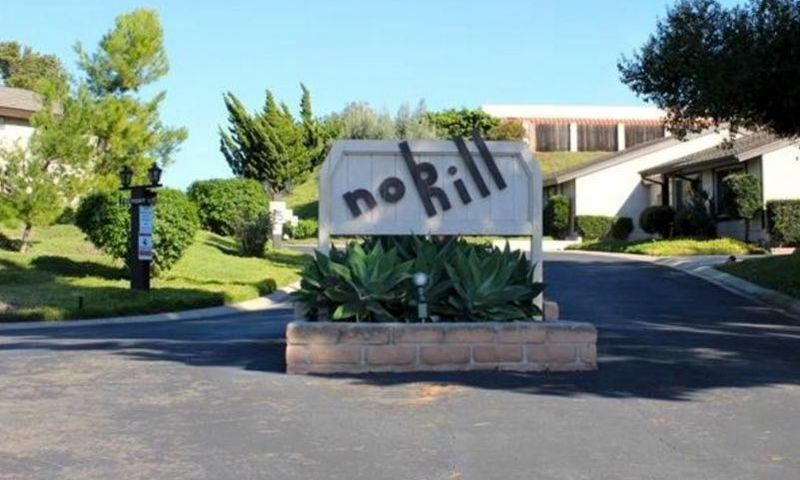 Nob Hill is a 55+ community in Vista, CA. This intimate neighborhood contains just 80 homes, making it a perfect option for homebuyers seeking a community where neighbors become fast friends and share common interests. Nob Hill has plentiful amenities for residents to use, whether it's exploring a hobby or meeting new neighbors. Nob Hill also boasts an unbeatable location near plentiful stores, golf courses, and having one of the most pleasant climates in the country. Being in driving distance to Los Angeles and San Diego, Nob Hill is a great option for active adults looking for a friendly community close to all Southern California has to offer. Neighbors in Nob Hill often meet in the clubhouse. Residents can venture to the recreation room for community gatherings or for an informal afternoon visiting with friends. Nob Hill also provides several ways to make the most of the gorgeous Vista climate with an outdoor pool and patio. There is even a BBQ area for neighborhood gatherings. Beautiful, open parks and natural space make for an excellent backdrop to jogs along the walking and biking trails. Residents in Nob Hill can also say goodbye to expensive storage fees because the community offers R.V. parking. Nob Hill was developed between 1972 and 1977 and now has 80 attached homes. The homes within Nob Hill range in size from approximately 1,013 to 1,102 square feet and offer two bedrooms, two bathrooms, and an attached two-car garage. Most of these homes boast vaulted ceilings, plantation shutters, granite countertops, wine cabinets, private back patios, and fireplaces. Homeowners also love that these homes are attached at the garages, allowing for more privacy. Life within Nob Hill is one of constant activity with friends. The neighborhood often gathers in the clubhouse to pursue hobbies or simply enjoy each other's company. Thanks to the homeowners' association (HOA), Nob Hill residents have more time to do as they please. The monthly HOA fee includes common area maintenance, landscaping, and exterior building maintenance. Nob Hill is located near San Diego, California. Just down the street from Nob Hill are several stores for everyday needs including Albertsons, local restaurants, gas stations, cafes, banks, a Goodwill, and a pharmacy. For traveling in the area, Ronald Packard Parkway is about three miles from the community. For farther travel, San Diego International Airport is about 45 miles away. Vista provides residents with plenty of things to do including seeing a show at the Moonlight Amphitheater, admiring local talent in one of the art galleries, learning the area's history in one of the museums, or enjoying an afternoon in a brewery. Vista also offers several golf courses, theaters, gardens, and is just ten miles from the beaches in Oceanside. Homeowners in Nob Hill love the low-maintenance lifestyle, friendly neighbors, and the unbeatable location near San Diego, CA. Check back soon for more information on the lifestyle in Nob Hill. The attached homes within Nob Hill range in size from approximately 1,013 to 1,102 square feet and offer two bedrooms, two bathrooms, and an attached two-car garage. Most of these homes boast vaulted ceilings, plantation shutters, granite countertops, wine cabinets, private back patios, and fireplaces. Please Note: Floor plans are not available at this time. 55places.com is not affiliated with the developer(s) or homeowners association of Nob Hill. The information you submit is distributed to a 55places.com Partner Agent, who is a licensed real estate agent. The information regarding Nob Hill has not been verified or approved by the developer or homeowners association. Please verify all information prior to purchasing. 55places.com is not responsible for any errors regarding the information displayed on this website.